The Royal Liverpool Cadet Programme is a unique opportunity that aims to provide a route into healthcare careers by enabling participants to gain valuable work experience and recognised qualifications over a 1 year period. 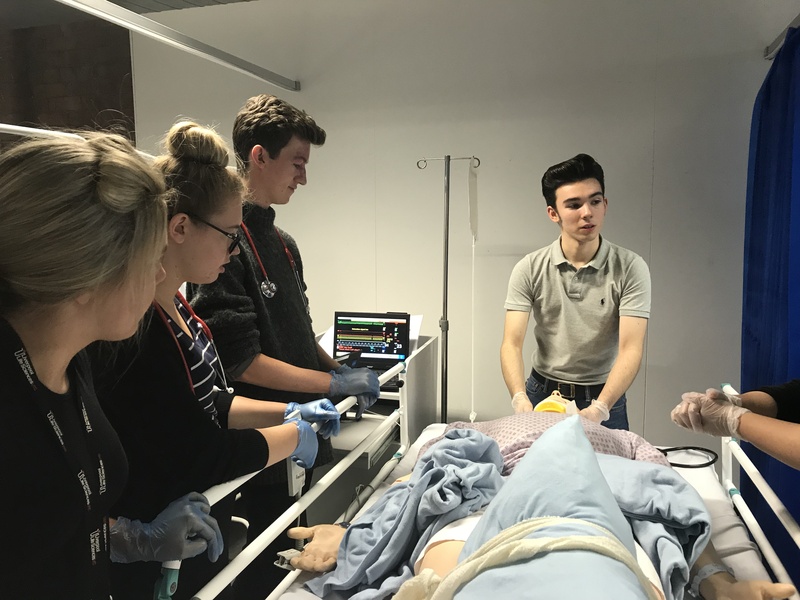 Delivered in partnership with Life Sciences UTC and The Royal Liverpool, this innovative programme is for 16-18 year olds interested in beginning their journey into a nursing career or similar role. It is employer ‘demand-led’ which means that the design and content is based on current recruitment requirements of healthcare employers. This results in a high number of potential recruits in areas where there are skills shortages, ensuring that the Trust has a skilled and professional workforce for the future. Combined with their studies, this unique opportunity is designed to equip aspiring health professionals for a career in nursing through clinical, real-world experience. This programme aims to create a talent pipeline of aspiring individuals who are supported to fulfil their potential and progress in their future careers in the NHS. Our students will start their Care Certificate qualification in November and will then be based within the Royal one day a week for the rest of the school year. Following completion of the Cadet programme students will be able to sign on to the bank at the Royal, apply for any appropriate jobs within the trust and use this as brilliant experience within personal statements going forward. Students can potentially look to join The Royal on their apprenticeship programmes while the programme as a whole equips them with invaluable experience when applying and interviewing for university. Why is work experience for students so important? Work experience gives students the opportunity to gain insight in to working life. Its gives first-hand experience of what a particular job entails as well as an appreciation of the disciplines and relationships involved. It is seen as part of a student’s development and is linked to work delivered back in the classroom. It is also an invaluable experience for them to be able to talk about in future applications/interviews. This year’s candidates went through our internal application process and were shortlisted for interviews in October 2017. Interviews took place on 18th October by the UTC’s Health Sector Skills Champion and Annette Pollitt from the Royal Liverpool. Congratulations to this year’s successful cohort! We look forward to seeing you on your placements within the Royal and Broadgreen Hospitals. Head here to find out more about them. Previous PostPrevious UTC students launch anti-food poverty campaign!